February 2019 returns were middling for my portfolio (+0.6% gain) versus the stellar +3.2% of the S&P 500. Avoiding any cuts, my dividend yields continue to hover around 5%. I continue to put cash to work in foreign markets while modestly paring my U.S. exposure. 2019 continues its V-shaped recovery from the painful end to 2018. U.S. markets had another especially good month, leading to much head-scratching about how far the divergence can go. Further, volatility has been eerily low the past few weeks, and I think the market is in a strange holding pattern, as technical indicators, earnings reports, and political/trade matters need to be resolved before a short-term direction will be determined. Of course, sideways action is fine for a high-yielding portfolio, as it pays handsomely to be patient. That is, as long as your dividends don’t get cut. Despite the truism of the statement, Warren (as he usually does) hits the nail on the head with this widely quoted quip. 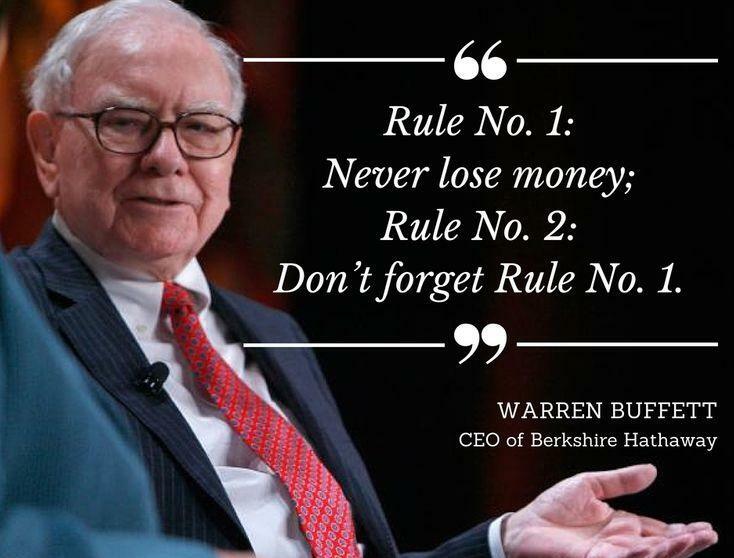 However, I think there is a dividend investor version of this that is even more powerful: Don’t lose yield! (by that I mean avoid getting caught invested in a company that cuts its dividend). I actually think that a dividend cut is much more traumatic to your portfolio’s value than regular price fluctuations, because dividend cuts are like getting a demotion (with a pay cut) at work, whereas price fluctuations are like having a bad day where your boss yells at you (but tomorrow is a new day). Furthermore, most dividend cuts are (rightly) accompanied by major price declines (so your boss yelled at you and you got your salary cut). Therefore, the first rule of dividend investing must be to protect yourself from dividend cuts. There are many handy rules of thumb to keep in mind to set yourself up for dividend yield protection success, but none of these are foolproof (as any long-time dividend investor will attest). But in my experience, the one that matters most is payout ratio. In general, companies paying out 80% or less of their true free cash flow from operations are unlikely to cut their dividends. This is because their core business is profitable, so they are highly unlikely to anger shareholders by cratering their share price as a result of a dividend cut. I have not always been as vigilant about payout ratios and allowed myself to get hurt with cuts at Kinder Morgan (KMI), Teva Pharmaceutical (TEVA), and Transocean (RIG) come to mind. But I have managed to avoid the rash of dividend cuts that have plagued many dividend investors in the last month. Pitney Bowes (PBI), L Brands (LB), CenturyLink (CTL), AllianceBernstein (AB)... these are just a few of the most high-profile dividend cuts from February 2019. I’m not sure exactly why last month became such a popular time for major dividend cuts, but there tends to be a snowball effect where one company’s cut begets another. However, it is very hard to predict exactly when a company will throw in the towel and cut an unsustainable dividend, so I can’t recommend shorting against high payouts... but if you see a yield that is too good to be true (meaning that the operating cash flows of the business do not support the payouts), it probably is. 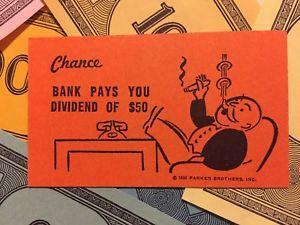 After all, dividend investing shouldn’t just be a game of chance. 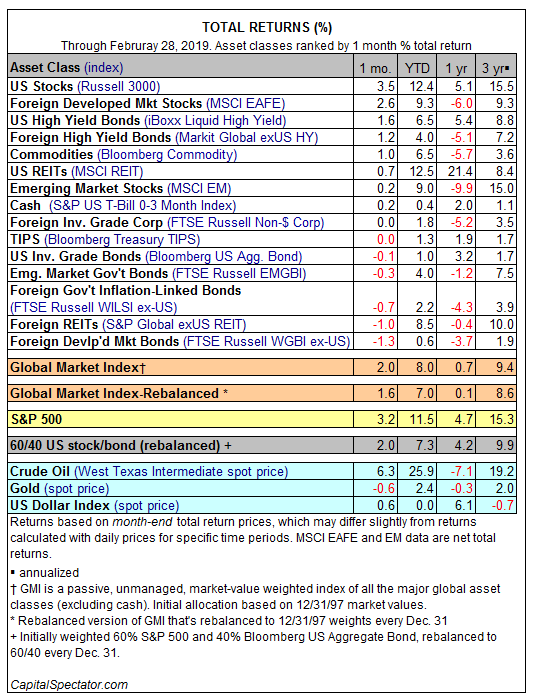 February 2019 was another nice one for domestic equities overall (though the REIT sector was a drag). However, my portfolio’s return disappointed with only a 0.6% return versus the 3.2% return of the S&P 500. Still, my TTM return of 6.5% outpaced the 4.7% of the index. Furthermore, my 5.3% forward dividend yield on invested capital keeps crushing the 2.0% yield of the broader index... so I’m not going to get bent out of shape over one disappointing monthly print. February 2019 rewarded me with realized dividends of $946 (versus $1,034 in 2018). And for the last 12 months, my portfolio delivered $14,145 in cash to me (up modestly from 2018). My realized yield for the trailing twelve months was 4.8% for my full portfolio, including cash reserves. I’m also making progress towards my 2019 goal of over $15,000 for the year (a 15% increase over last year). Fear and greed are hard to balance, but I am happy with where I am overall. My yield-focused strategy still makes the most sense to me, as paper gains may come and go but cash is forever!! Since I write for Seeking Alpha primarily to improve my own investment portfolio, I think it is important that you know my objectives. Please consider this context when you look at any advice I give and form your own opinions based on your needs and desires. Goal: Attractive, risk-adjusted, absolute returns (5-15% annually) over a long-term time frame, while minimizing capital loss and extreme drawdowns. Strategy: "Enhanced" dividend growth or DGI strategy that focuses on a core of diversified high-yielding holdings (ETFs and individual companies - my general screening criteria: growing companies (YoY EPS growth >0%) with attractive valuations (PEG <1.5 and P/E <20) and strong and safe dividends (yield >4%, payout <90%, and market cap >$500 million)... no tobacco stocks or micro caps), supplemented with return-enhancing tools like hedges (derivatives and shorts), commodity exposure, etc., as well as some crazy picks. Balance: Blend of ETFs (domestic and international) and individual companies (where there is a compelling reason to own). Seek to not overweight any one sector unless there is a compelling reason to do so (although the nature of these investments leads me to be overweight in traditional dividend-paying sectors like financials, REITs, and energy). Note: I violate these guidelines constantly, so please call me out on it! SHARE BUY - Global X MSCI Portugal ETF (PGAL): Bought 300 shares of this Portuguese ETF at $10.75 on Feb 7. Reasoning: I can’t seem to get enough of these international ETFs... although Europe is still slowing, the valuations in the Portuguese market are too compelling to ignore (as is the 4.3% dividend yield). SHARE BUY - Morgan Stanley - Preferred A (MS+A): Bought 200 shares of this financial firm’s floating rate preferred shares at $19.75 on Feb 1. Reasoning: I love the strong yield and rebound potential of these floating rate bank preferreds. SHARE SALE - Ventas Inc. (VTR): Sold all 150 of my shares in this healthcare REIT at $65.05 on Feb 15. Reasoning: I love this sector (and am still quite overweight), but with the yield of VTR falling below 5%, I decided to cash in my chips and wait for another attractive entry point. The strong 2019 recovery has floated many boats since the Christmas bottom; however, some of those boats had glaring holes that were exposed by recent dividend cuts. Price action is tempting to follow (since it is easy to track and grabs the headlines), but fundamental performance (measured by payout ratios) give a long-term investor a better change to avoid return sinking dividend cuts. Long-time readers of my Seeking Alpha articles will note that I’ve not always been as successful as I am currently at dodging dividend cuts, so I’m laser-focused on re-evaluating my portfolio and trimming risky holdings to avoid getting caught (again) in the wrong positions. In terms of stocks that might suffer a dividend cut, I think that SBRA, OHI, and F are my scariest current holdings. What do you think? Am I snoozing through any other risky bets? Disclosure: I am/we are long ALL STOCKS AS MENTIONED. I wrote this article myself, and it expresses my own opinions. I am not receiving compensation for it (other than from Seeking Alpha). I have no business relationship with any company whose stock is mentioned in this article. Additional disclosure: The author is an amateur who has a history of getting calls both right and wrong with zero predictive power. Trade at your own risk and never rely solely on this author's opinion. Also, as I have no knowledge of your circumstances, goals, and/or portfolio concentration, readers are expected to complete their own due diligence before purchasing any stocks mentioned or recommended.